13th September 2012. In this edition of the ExplorOz Newsletter find out about Member - Terra'Mer's Happy Walk send off, plus how you can support her on her journey. Learn how ExplorOz Membership can help you save money (including a special Member's discount). Challenge yourself with "How well do you know Australia" - an interactive quiz from Explore Australia. Plus find out if you're August's shop review winner, and view all of the latest shop products, Super Specials and product offers. On Monday afternoon, three ExplorOz delegates attended the send off for Member - Terra'Mer, the official start to the Happy Walk. Read all about the event in the blog account by Member - Josh here. We'd like to urge the ExplorOz community to support Terra’s solo journey – to keep an eye out for her on the road (see her Member Profile for updates on where she is/see her website map for route plan) over the next 7 years as she travels around Australia on foot. She would appreciate a little company, a little hand outs, a little assistance from anyone along the way to make her feel safe/secure. Big undertaking, great campaign of awareness, a true adventurer that ExplorOz is proud to sponsor. Expect to see a lot of content from Terra as she will be blogging and updating Places information on her travels. Exclusive free downloads of POIs and Driving Directions from Places, ExplorOz Treks and User Treks. 5% off all items in the Shop (800+ great products to choose from). Plus see opposite for our current exclusive member discount. Free overnight shipping on all Shop orders over $125 (valued at $9.95). Unlimited Display Ads in the Classifieds and only $10 for Premium Ads (save $19.95 on each ad). Access discounts from our Business Members in the Members Rewards list, and enter our regular Members Only competitions to win fantastic prizes. To find out more, see the new Membership Section in Articles. Joining is quick and easy via our Online Shop here. Do you know the Aboriginal name for the Devils Marbles? Can you pick out a fake Australian place name from real places? Can you name the lowest point in Australia? 'How well do you know Australia?' has fifty questions across five levels of increasing difficulty – with all of the information sourced from Explore Australia 2013. Play and you’ll get a discount off the RRP of $59.95 for this trusted travel bible, as well as have your name in lights on our leaderboard. So put your knowledge of Australia to the test with our quiz. Find the best your city has to offer, and plan activities for your Spring & Summer travels with the Woodslane Guidebook series. Save $5 on all titles until 30/11/12, plus purchase any book from the range and go into a special bonus draw. View offer details here. Each month we have a random prize draw taken from reviews submitted for items listed in our shop. Congratulations to August's winner: Member - rosschris. 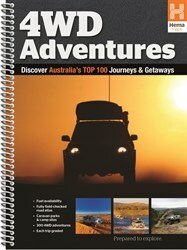 Written by 4WDriving's most well known experts, discover Australia's top 100 journeys and getaways with this brand new title from Hema Maps. 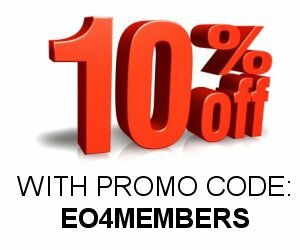 to apply the 10% discount off your entire order at the checkout. Place as many orders as you like before the end of the promo and receive the discount every time! This in addition to your usual 5% discount, so you save 15%! 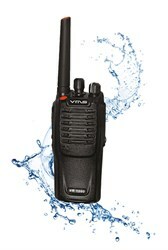 Introductory Price only $299 (RRP $449)! Don't miss out on this fantastic offer on the brand new VR-1200 and VR-1500. 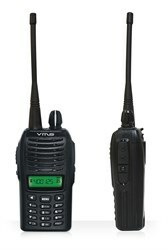 View the specs for each radio here.